Whether the skies are clear through the summer or temperatures drop in winter, trees require ongoing maintenance. Trees can grow to astronomical proportions in urban areas and while truly impressive and beautiful, the risk of damage and injuries is just as profound. Oasis Tree Management is your trusted Arborist service in Logan. With the following professional tips from your leading arbor team, you can learn how to keep vegetation in good shape and prevent unnecessary hazards on your property. A professional tree lopping or removal service is dedicated to the maintenance of trees including pruning, trimming and complete removal. Certified Arborists are responsible for identifying tree species, risk inspection and management of vegetative health. Professionals have the equipment, skill and the safety practices to conduct all tree management procedures. Who is Oasis Tree Management and Removal Specialists? 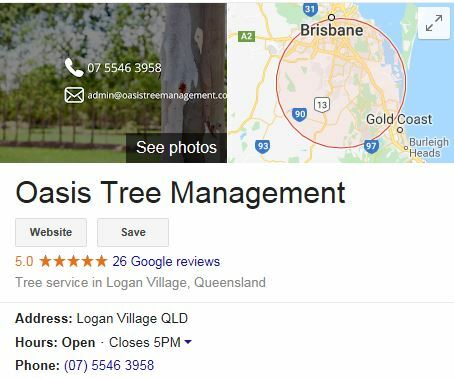 Oasis Tree Management is a professional and certified Arborist team that services the greater Logan and its surrounding suburbs. The company was developed in 2014 by Cert III Arborist, Bruce Herlihy and has undertaken all types of tree maintenance practices for homes, businesses, and property developers. The experienced Arborists live in the local area and strive to maintain safe properties through qualified tree management practices. 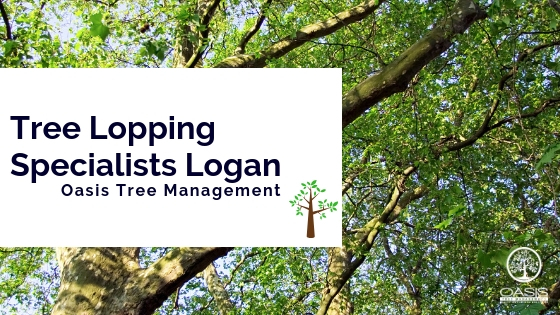 Having developed a relationship with the local Logan Council, Oasis has implemented the necessary steps to educate property owners on protected trees and prevent the penalties associated with damage to federally managed, native trees and shrubs. We have a deep passion for the heritage of our land including a responsibility to preserve and maintain the trees and natural vegetation that is native to the region. With our exceptional skill and certified Arborist knowledge, we can safely assist all property owners in the management and the removal of trees. A tree can provide many years of beauty, shelter and landscaping when it is maintained. As qualified Arborists we can assist in managing the health of your trees through the summer and winter seasons. We adhere to Australian standards for pruning and ensure every part of the process is safely completed. Our skilled workmanship includes thorough inspections to identify damaged, weak and dead branches for removal. • Pruning and trimming are best practice to promote the health of trees. • Keep your trees well-watered especially during droughts. • Apply layers of mulch over the roots to retain moisture. • Feed your trees with the appropriate fertilizer for its size and age. • Remove dead trees that pose a property risk. Trees that need to be pruned, trimmed or removed on your property must be inspected before any management takes place. Protected trees that are damaged or removed unlawfully are subject to penalties. We make the process easier and assist in the inspection and identification of tree species that require a permit for maintenance or complete removal.For all your tree-related services, call on your arborist experts in Logan.